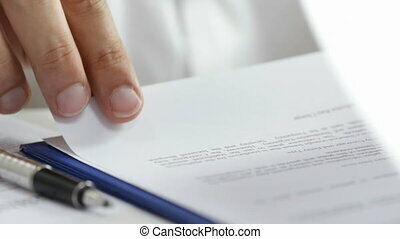 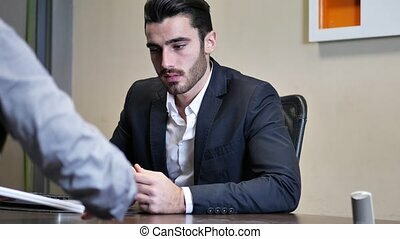 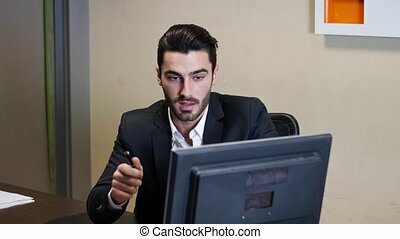 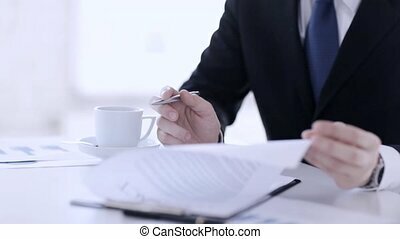 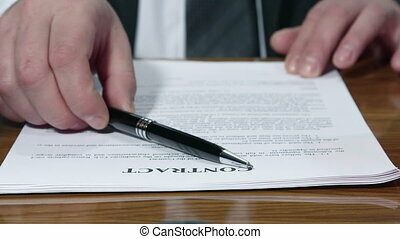 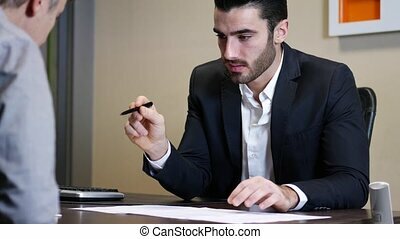 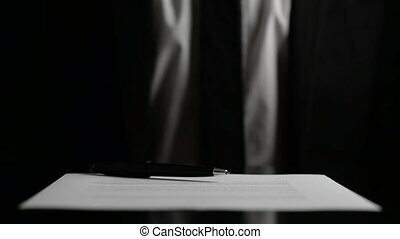 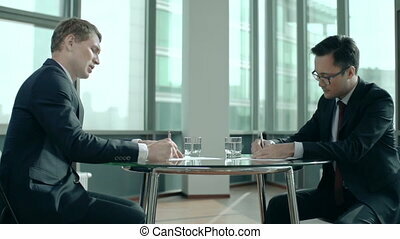 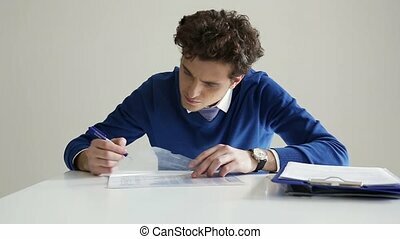 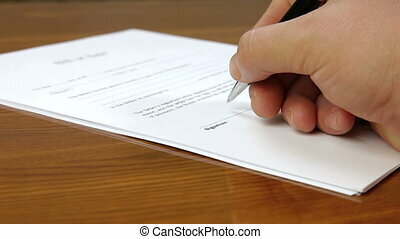 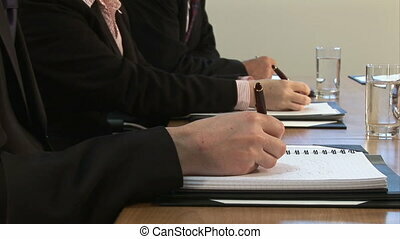 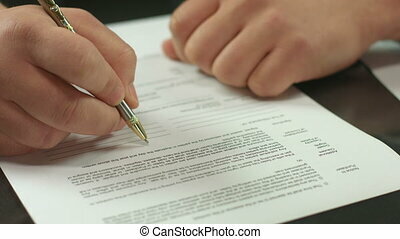 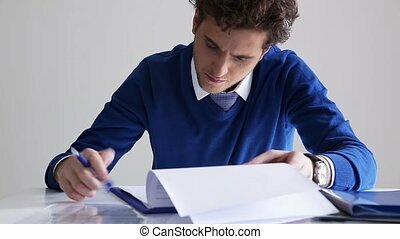 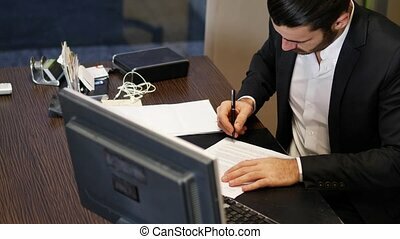 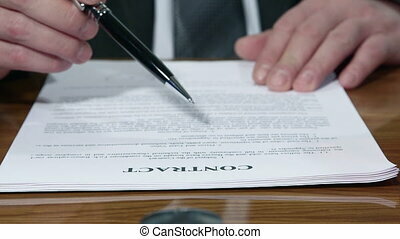 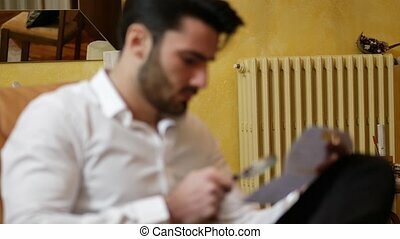 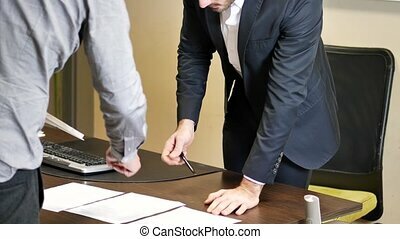 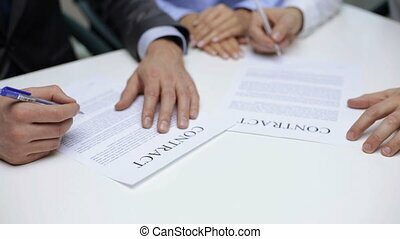 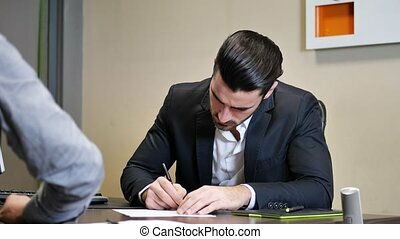 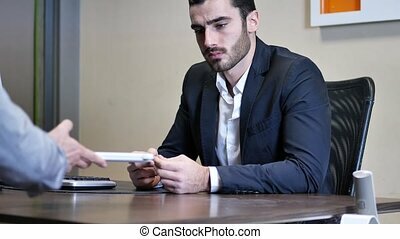 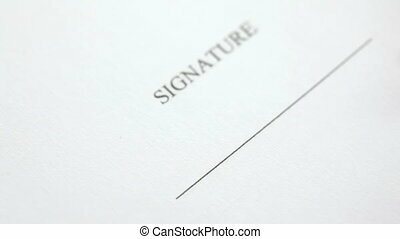 "Male hand signing pages of contract, work with official document"
Handsome businessman sitting in his office, talking to client or other businessman or colleague and discussing with him on business proposals, projects or demands. 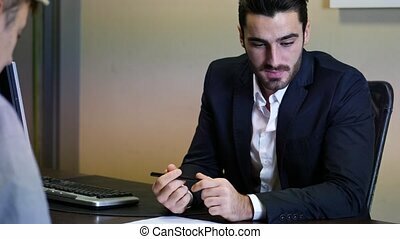 Handsome businessman sitting in his office, talking to client and showing him options on monitor screen. 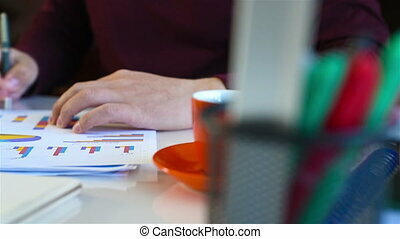 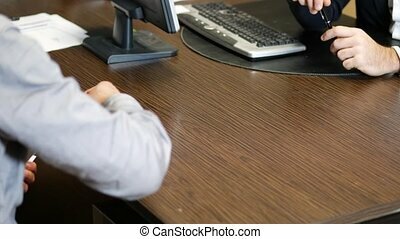 Handsome businessman sitting in his office, talking to client and showing him options on tablet PC screen. 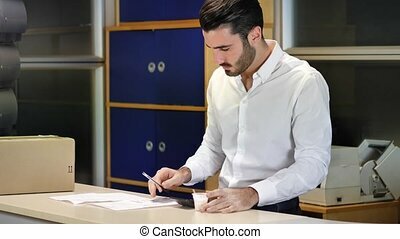 Handsome businessman sitting at table in his office and taking visiting or business card from another man.